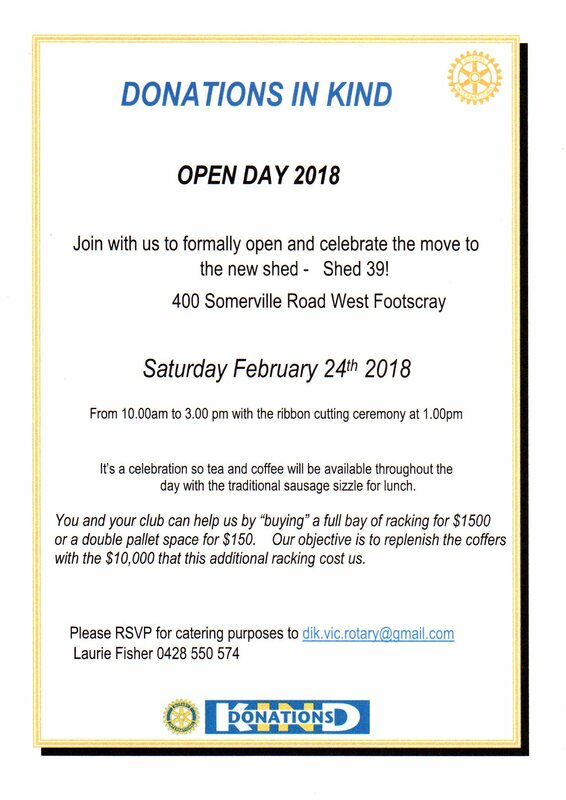 Below is an invitation flyer concerning the opening and celebration of a move to a new shed at the Donations in Kind Store [DIK}. Club Member – Des Shiel has been instrumental in undertaking much of the new building/ set-up work required. RSVP – OF ATTENDANCE VERY IMPORTANT FOR CATERING PURPOSES…..Refer email address in flyer. Flyer also included in the Club’s Events Calendar.